For more information, contact Mike Swesey, Senior Vice President of Economic Development. The manufacturing sector in the region reinvests in local operations and is growing to meet the demands of the marketplace. The region is dubbed the Cultivation Corridor because of the high concentration of agriculture and biotech companies here, as well as the area's access to prime farmland, raw materials, academic excellence, talented workforce, customers and emphasis on agbioscience tech and innovation. 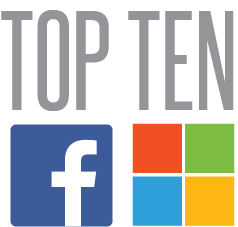 Major tech companies such as Facebook and Microsoft have found Des Moines to be a strategic and cost-effective location for data center operations. It's why the region has become a Top 10 location for data centers nationally, according to CBRE. Insurance and financial services play a significant role in the Des Moines economy. The area is an insurance hub, with more than 80 insurance companies located here and the highest concentration of employment in insurance and financial services in the United States. 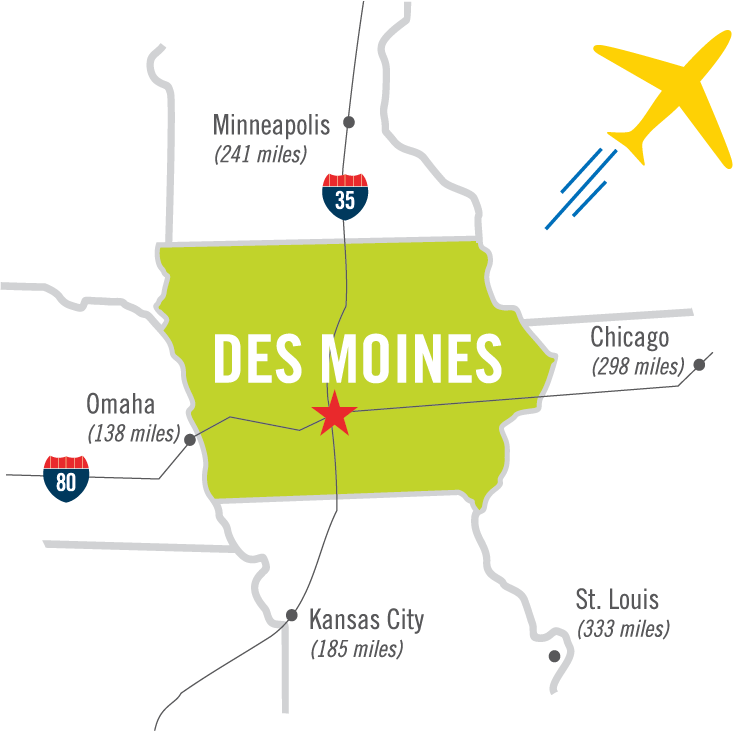 With its location at the crossroads of the nation and its immediate access to transportation infrastructure such as Interstates 80 and 35, Des Moines has been recognized as a prime location for logistics, warehouse and distribution facilities. Questions? Contact Mike Swesey, Senior Vice President of Economic Development.